These dental procedures sound similar, but they are done for different reasons. 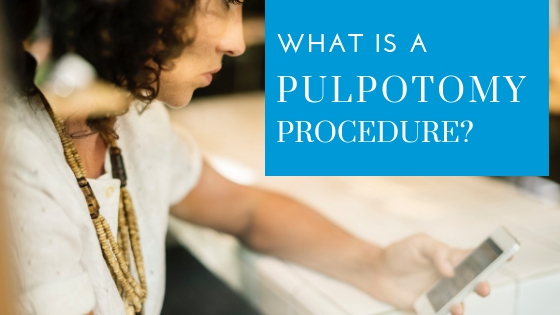 Whereas a pulpotomy involves the partial removal of a tooth’s pulp, a pulpectomy involves the complete removal of pulp tissue in a tooth as the first step in root canal treatment. Dentists recommend root canal treatment after determining a tooth’s pulp has died or become infected. Root canal therapy involves removing all of the diseased pulp, both in the crown portion of the tooth and the roots. Damage to the pulp may be due to trauma, deep decay or a cracked tooth that leaves the pulp vulnerable. When bacteria reach the pulp, infection can form an abscess and spread into the surrounding bone. When this happens, the only alternative treatment to a pulpectomy and root canal is tooth removal. Pulpotomies are less invasive and less expensive than root canal treatment, though the effectiveness varies. The authors of the Case Reports in Dentistry study establish that successful outcomes depend on a number of factors, such as how well the dentist controls bleeding and keeps the pulp free of bacteria during the procedure. Age is also a factor, since the pulp in older adults is more fibrous and has less blood supply, making the tooth less vital and making a successful outcome less likely. Two other critical considerations for positive results are the material’s sealing ability for pulpal healing and the type of final restoration. A study published in the Journal of Dentistry found composite resins were less successful. So in cases when cost is not a factor, a full-coverage crown is ideal. Accidents that cause trauma to a tooth may be out of your control, but preventing cavities is something you and your family can do. Limit the decay-causing bacteria in your mouth by brushing twice a day with fluoride toothpaste, flossing daily and swishing with a rinse. It offers 12-hour protection against germs even after drinking and eating. Keep regular dental visits so your dentist can find problems early, when a small filling may be all that is needed. 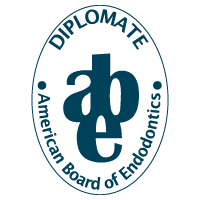 Previous StoryWhy See An Endodontist? Next StoryDo You Need Emergency Dental Care?